Today the world renowned LEGO group have announced the release of their band new Safe Social Network for Kids up to the age of 13 – LEGO Life! So what is LEGO Life? 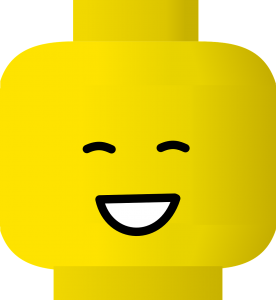 Well as already mentioned it’s essentially a social network for children, however it’s based around LEGO of course and provides no personal information ensuring the highest level of safety and security. 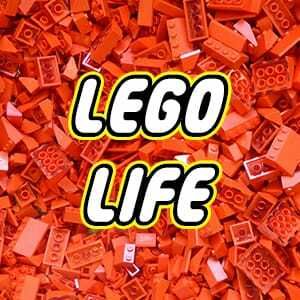 LEGO Life is an App launched by LEGO on January 31st 2017 and is designed to be a child’s first digital social experience. It’s a place where they can show off their creations as well as like and comment on others. The App prevents kids from sharing any personal information including images or anything that could allow users to identify and locate one another. When a user creates an account they use the random name generator to create a 3 word mix for a display name, such as “DukeCharmingShrimp” or “ChairmanWilyDolphin”. Rather than having a real image of ones self the user creates their avatar by selecting the LEGO minifigure or minidoll of their choice then adding clothing and hair. Safety is number one. Any content and comments on LEGO Life are monitored by LEGO employees, of whom specialise in moderation ensuring that LEGO Life remains appropriate and child friendly. The LEGO Group take safety and standards very seriously – And we agree! We have a huge range of lights including a vast amount of kids lights. All of which are CE certified and meet all European safety standards meaning you can shop with peace of mind at The Lighting Company. 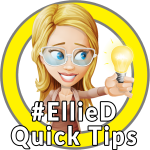 We also recommend using an LED bulb in all lights but especially in children’s lights! This is because LED bulbs generate very little heat meaning – no risk of burns! For many years LEGO has been a way for children (and some adults alike!) to express themselves and their creativity, but why stop there? Filling their room with their own unique creations is one thing but it’s also important that their “workshop” is also their creation and suits their needs! Drawing their own lampshade perhaps? Children nowadays are being present with far more choice than they used to, despite the security of LEGO, allowing them to make choices online may seem a daunting prospect – at least the worst that can happen here is they end up colouring outside the lines! 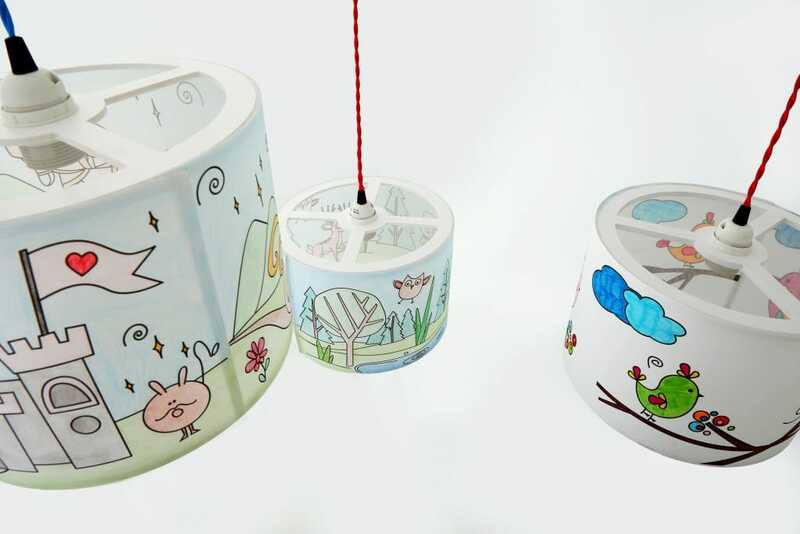 Our Colour Me lampshade range features various patterned shades for kids to colour in themselves, there’s even a blank canvas for those with their own design ideas! 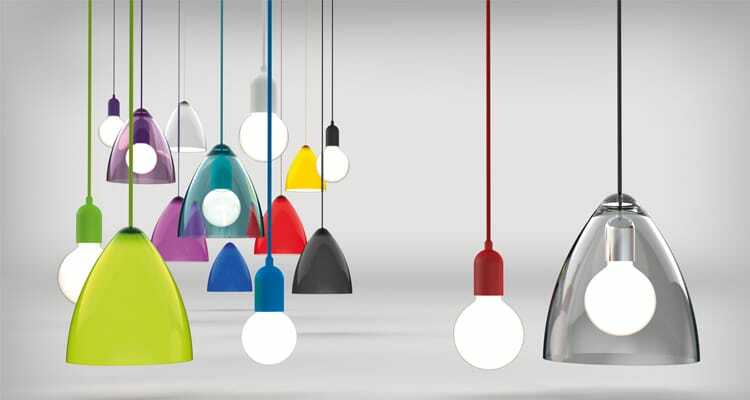 LEGO is all about mixing and matching to create something unique, our range of FUNK lighting uses this same idea – choose your own ceiling suspension and shade from a variety of colours to make your own pendant. Changing colour of your fittings can be a laborious job and children often get bored quickly, the diversity of LEGO is what keeps them playing with it, so why not add diversity to your lighting? 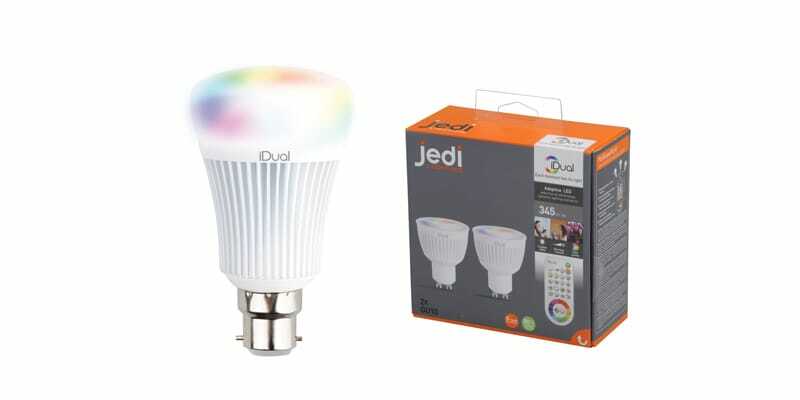 The iDual range is a range of LED colour changing bulbs suitable for various fittings, operable by remote control you’re able to change the colour of your lights at will and change to numerous presets. Perfect for giving your kids room exciting illumination whilst they’re busy on their next LEGO masterpiece to share with the LEGO Life community! It may interest you to know we have a full FREE digital magazine full of inspirational content and offers! Sign up to our newsletter below to become on of our enlightened VIP’s and receive your FREE copies now! ← Previous Previous post: Chinese New Year 2017 – Add Some Luck to Your Home! Next → Next post: Everything Is Coming Up Roses!